How to grow moss at home? How fast does moss grow? How to grow moss indoors and what species to choose? We shall give you the answers of these questions and will show you different ideas how to use it creatively. 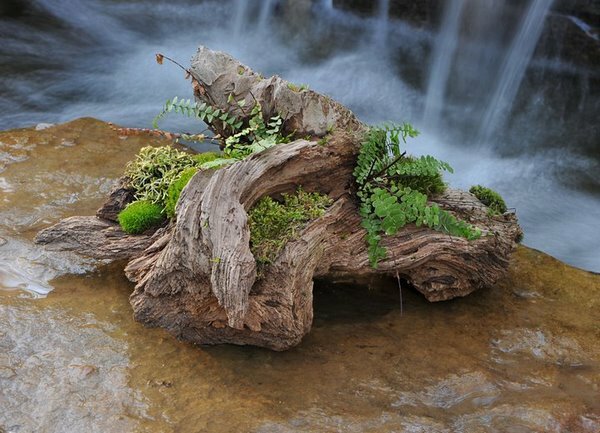 Mosses are some of the most ancient terrestrial plants that live in our time. They belong to the family of Bryophyta and there are more than 10 000 varieties. 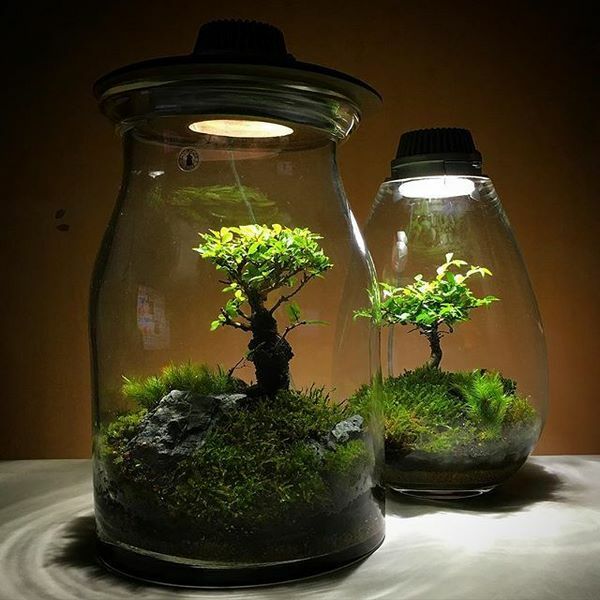 You can use any type of garden container or planter box to grow moss indoors but it will look most spectacularly at the bottom of transparent round vases, bowls, in small terrariums, etc. All of us have seen this plant growing on trees or beautifully green areas where it is a ground covering plant. This amazing plant is a beautiful addition to any garden design and despite the rustic appearance and adds a feeling of antiquity. Many beginners in home gardening are interested in how to grow moss at home. These emerald fluffy pads do not have a root system, flowers and seeds. To comfortably grow and develop, they need high humidity and very little lighting. They get all the nutrients from the water. Growing moss is not at all difficult and caring for it does not require much effort. 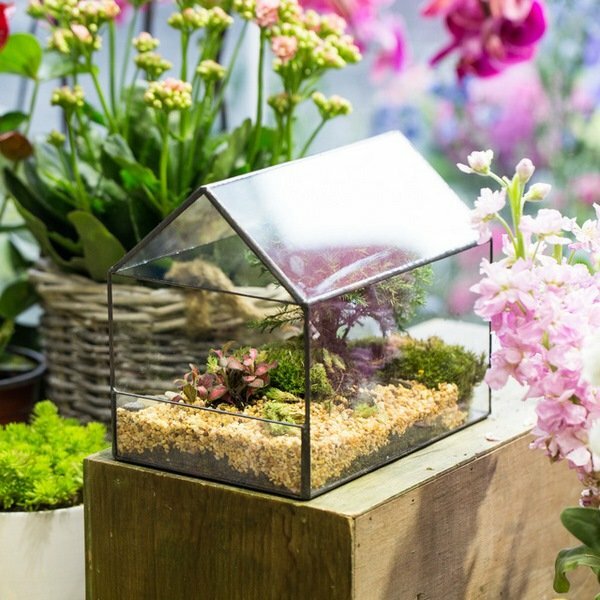 With the help of these tiny plants you can create amazing live compositions, miniature gardens and forest landscapes that will give your home an atmosphere of harmony and unity with nature. What are the advantages of moss compared to other plants? 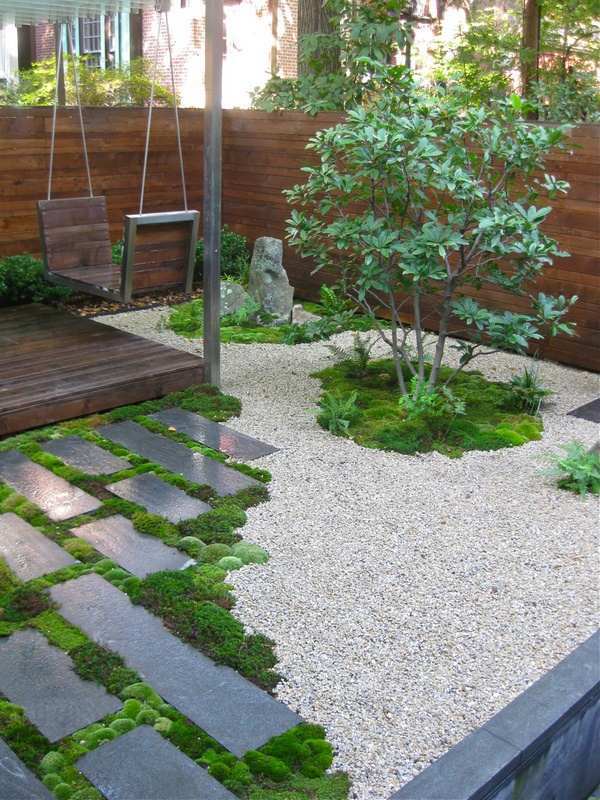 Growing moss has some environmental benefits as well, which are very important. On the first place, there is no pollution since this is an easy growing plant and it does not need any fertilizers or special care to grow. All it needs is the right amount of water and light. Compared to other plants, the amount of water that it needs is very little. One of the greatest benefits is that it aids water filtration and removes oils, heavy metals, detergents, dyes, and micro-organisms. 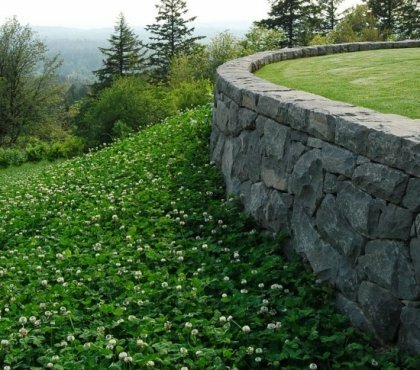 In addition, it protects soil from eroding. From a purely practical point of view, a lawn does not need to be mowed to maintain its beautiful appearance, which saves you time and money. Animals, as a rule, do not eat it which means that your beautiful and green garden will not be a subject of attacks by rabbits, for example. 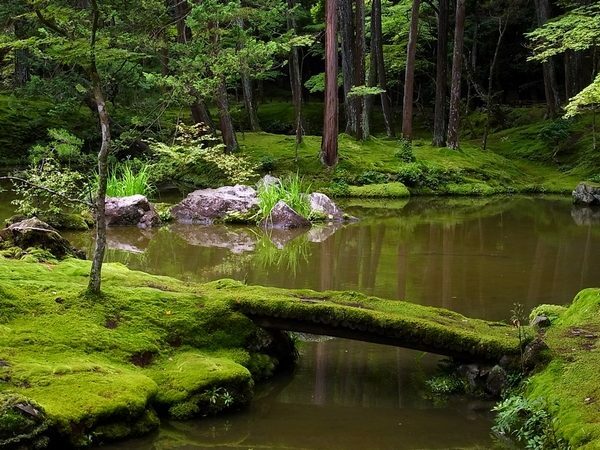 A great advantage is that due to the lack of root system, moss easily grows on rocky soil. How to grow moss in the garden – what is important to know? Why grow moss in the garden? 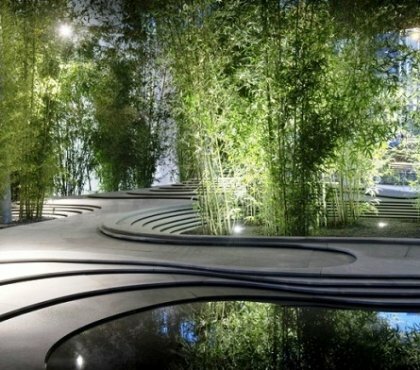 With the help of these tiny pads you can create unusual, original live compositions that are part of your landscape design. You can also make mini-gardens and combine it with other garden plants in creative ways which will attract the eye. 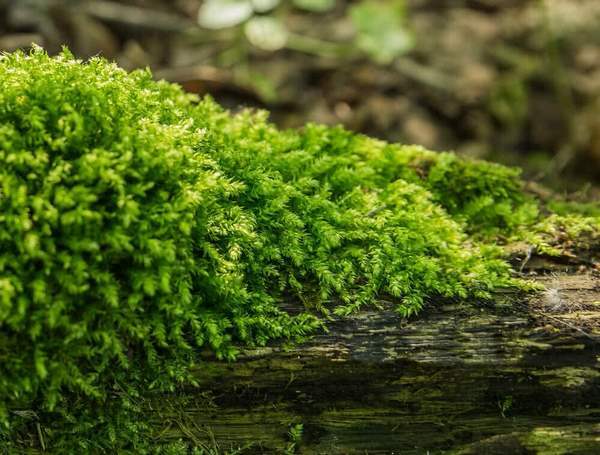 Mosses are small plants, the size of which varies from a few millimeters to a few centimeters. They do not have flowers and stems, their roots resemble branching threads and they develop from spores rather than seeds. In general, this plant is grown for decorative purposes. It is unpretentious and a great alternative to grass lawns as it does not change its green color, regardless of the season and climatic conditions. You need to be aware that moss will not prevent grass from growing but unlike grass, it can grow on shady places, trees, rocks, stones, etc. 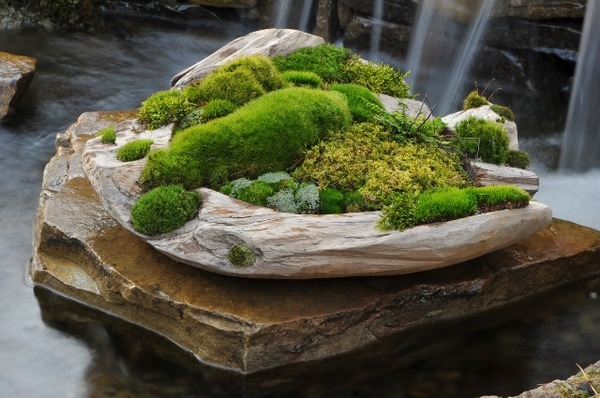 When we talk about moss gardens, there are two main types – Acrocarpous and Pleurocapous. Acrocarpous type like Polytrichum commune, Dicranum scoparium,Campylopus introflexus and Luecobryum glaucum grow upright while the Pleurocapous varieties are the ones that from the lush green carpets. Some of the most popular varieties are Thuidium delecatulum, Plagiomnium cuspidatum, Climacium americanum, Bryandersonia illecebra, Entodon seductrix, Hypnum cupressiforme, Hypnum imponens, etc. Very often you will see a combination of different varieties in a landscape which creates richer color and texture as well as visual interest to the garden. When you plan to grow moss in your garden you need to keep in mind that it is not a good idea to use it in areas with heavy traffic. This does not mean that you cannot walk on a moss lawn, but it is better not to plant it on footpaths or walkways. Another important consideration is the fact that lawns require a good deal of preparation work but the good news is that your green lawn will require minimal attention and maintenance efforts. Remember that these are not flowering plants, so if you want color accents you will need other plant species. You can combine moss with other shade loving plants like hostas, wild gingers, ferns, trilliums, lilies-of-the-valley, heucheras, etc. So, how to create a moss garden? There are two ways to grow it in the garden. The first one is the natural way – you just have to wait until the starts growing by itself in the right place from the wind-borne spores. This plant requires an acidic environment, compact soil, protected sun to semi-shade and consistent moisture so you can help by cleaning the site from higher plants, clean the soil, rake it, treat it with herbicides and test the soil pH. Acidic soil with a pH between 5 and 5.5 is the perfect one. The second way to plant moss in the garden is to get it from the wood, from another garden or a nursery. Keep in mind that a variety which is removed from the bark of a tree is only suitable for growing on trees, and varieties collected from the soil surface will only survive on the ground. Make sure that the conditions in your garden correspond to the natural environment of your species – illumination, humidity, soil acidity. 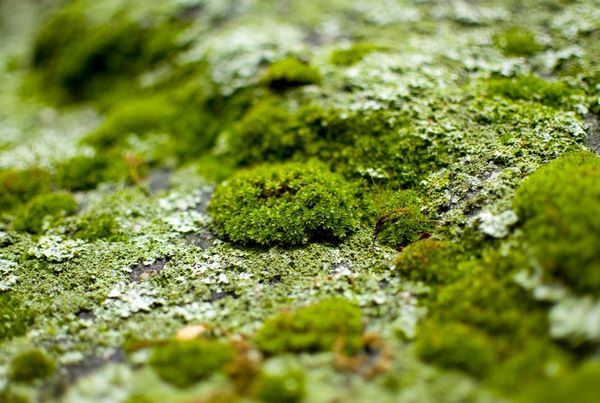 When you collect moss for re-planting there are some rules that you need to know. You should choose mature, well-grown fragments. Cut a small amount. For this purpose, an ordinary spade or a garden shovel is all you need. When cutting, it is necessary to go to the underlying substrate, so as not to damage the lower part. Choose the right place and before planting clean the soil from leaves and debris. As we already mention, semi-shaded areas are more beneficial as moss is vulnerable to bright sunlight, especially during the first months after planting. Before planting it is desirable to put the brought pieces in a container of water for some time – let them be saturated with moisture and gain strength. 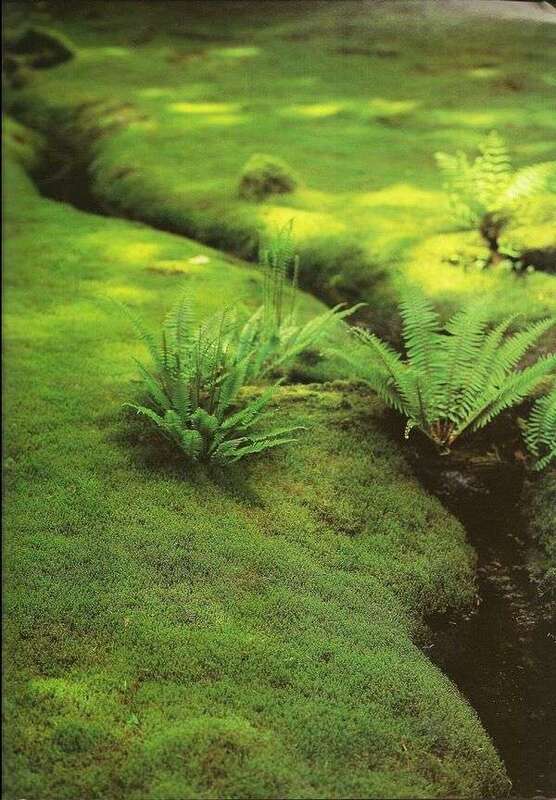 Water the soil on the area where you will plant your moss, transfer it and press firmly with your hand. Once planted, it will need watering on a daily basis for a period of two or three weeks. Be careful not to over water it or it will look dark green and patchy. When you work out a watering schedule keep in mind that moss should be kept moist. 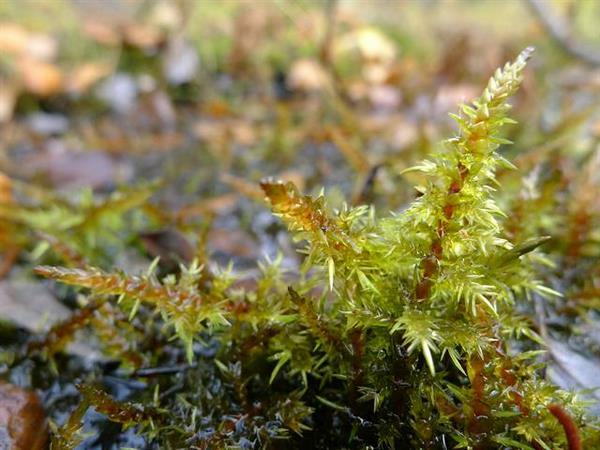 What moss species are suitable to grow in your garden? Moss varieties that are suitable to grow in the garden are divided in a number of large groups. 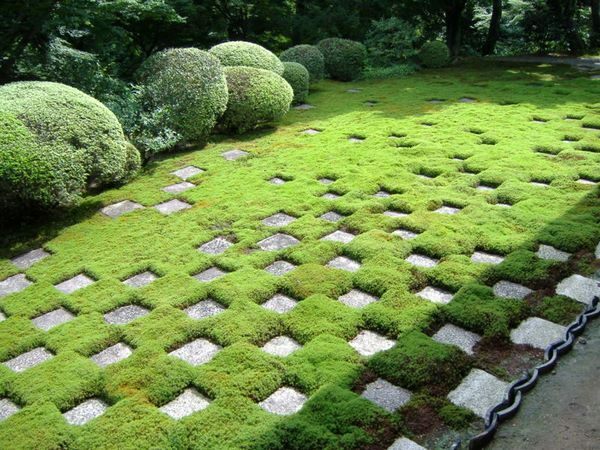 Sheet moss (Hypnum) is one of the most popular varieties and is widely used between stepping stones or paving stones as it can handle light foot traffic. 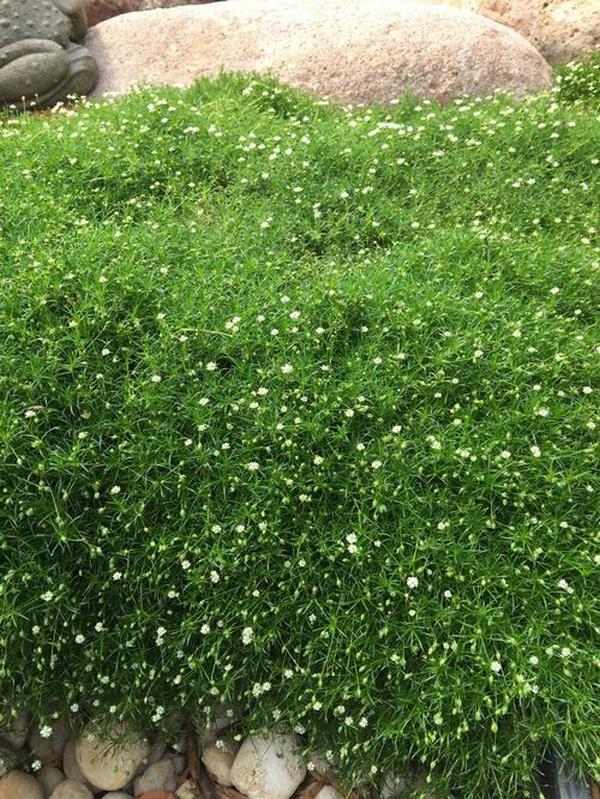 It is a good ground covering plant and forms a dense green mat. Cushion moss (Leucobryum glaucum) prefers shade yet it can tolerate partial sun and forms a ball-like structure. 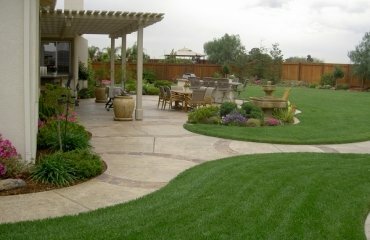 Its light green color with a silvery white cast is a great addition to the landscape. Club Moss (Lycopodium) feels best at cool temperatures and low light and moist soil. 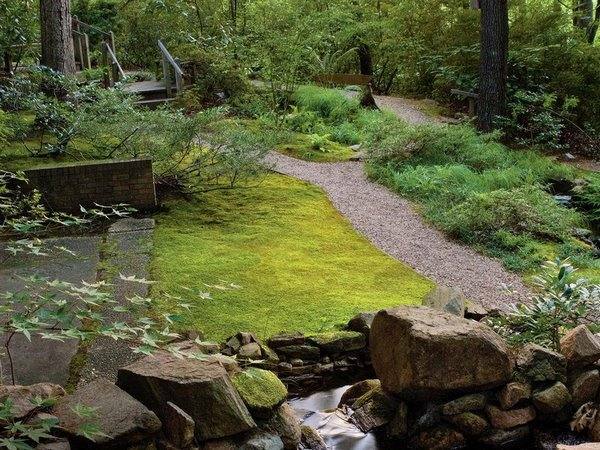 Rock cap moss – (Dicranum), also called “Mood moss”, is the ideal choice for deep shade areas. 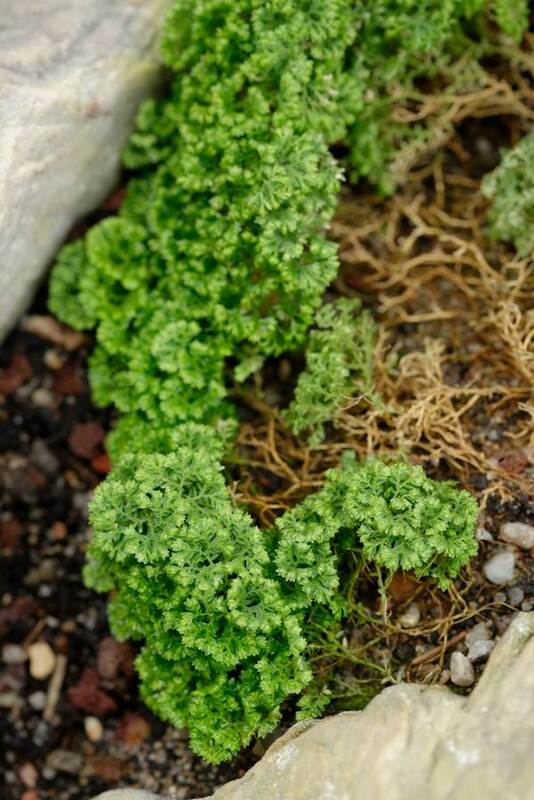 It grows on rocks and boulders but is also a good ground covering plant. Haircap moss (Polytrichum commune) is a relatively tall variety which will thrive in medium shade or partial sun and prefers acidic soils. It will tolerate full sun only if the soil is well moisted. This variety handles light foot traffic and can be used as garden path border, for example. 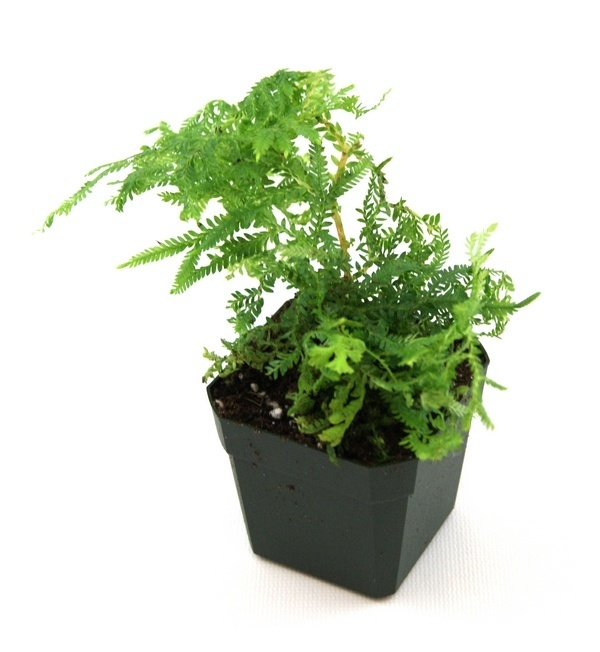 Fern moss is a fast growing species and a good alternative to grass in shady gardens. It is taller and has fern-like shoots. Reindeer moss is not actually a moss but a lichen. It grows in clumps and can be gray or green. Another plant that is not a true moss is the Spanish moss, which is actually an air plant. Irish moss (Sagina Subulata) – is a perennial plant of the clove family, with branchy stems, small white flowers and needle shaped leaves. It is undemanding to soil and care. 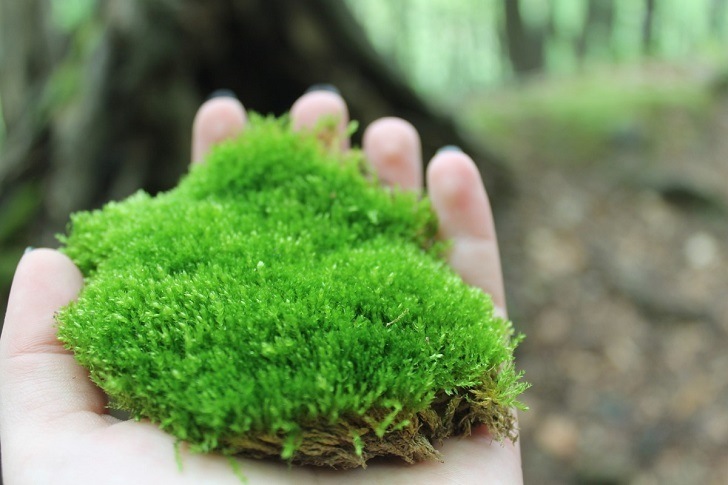 Growing up, forms a “moss pillow” up to 8 cm tall. It is a kind of mixture between moss and grass, making it ideal for lawns. Common haircap moss (Polytrichum commune), also called great golden maidenhair, great goldilocks, common haircap moss – is a decorative plant, almost all types of which are successfully used in landscape design, which got its name due to the similarity with flax. This perennial plant is exceptionally tall compared to other varieties, with hard stems of 10-40 cm height and scaly leaves. It is considered a classic of the Japanese garden. Since ancient times it has also been used for medical purposes. 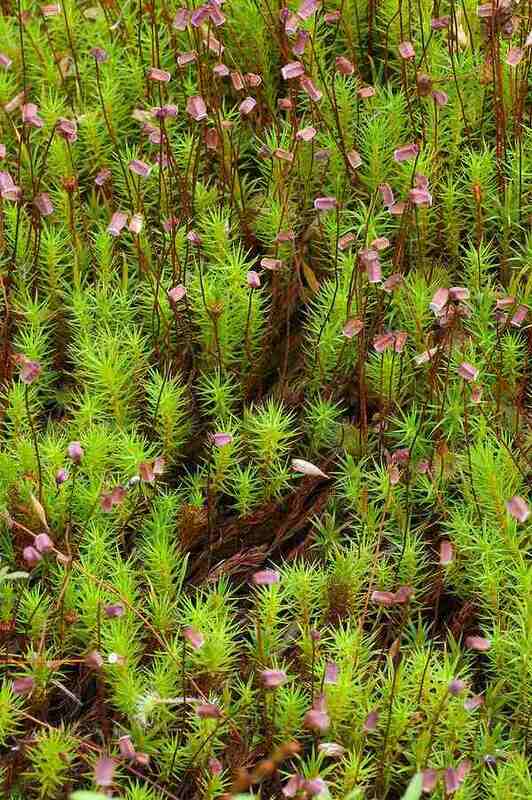 Peat moss (Sphagnum) is a perennial plant with greenish-white branchy stems without roots. It get its name for the preference of peaty soil. Giant spearmoss (Calliergon giganteum), also called giant calliergon or arctic moss, is a perennial in bright green or brown color. It prefers shady areas, but it can handle sunlight as well. It grows equally well on tree trunks, stones and soil. Java moss (Vesicularia dubyana) is a subspecies of hypnoid mosses. This is a very attractive decorative variety which grows in wetlands, sometimes on snags and rocks. It is unpretentious to soil and water and can withstand temperature fluctuations well. Most often it is used in decorating aquariums. 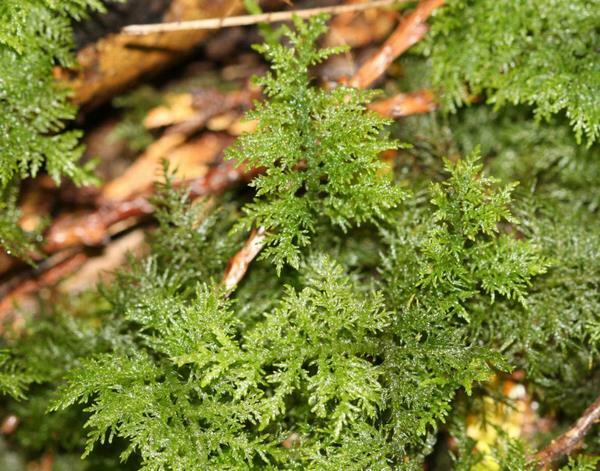 Fern moss (Thuidium) is a low-growing plant, which in appearance looks very much like a fern, thus the name. It creates dense and very picturesque thickets that perfectly fit into any landscape but can be aggressive to neighboring plants. 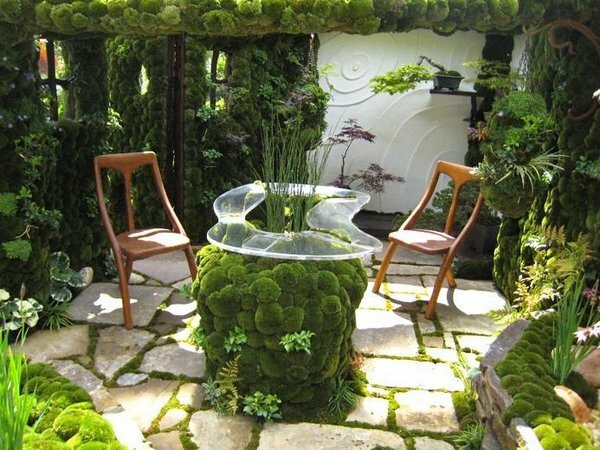 As you see, moss can be a real eye catcher in any garden design. When you choose the right varieties and color shades you can create textured and colorful pictures that will surprise and, undoubtedly, attract the attention of your guests. You can admire the beauty of this amazing plant almost all year round. 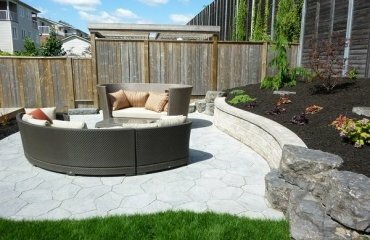 How to use moss in landscape design? 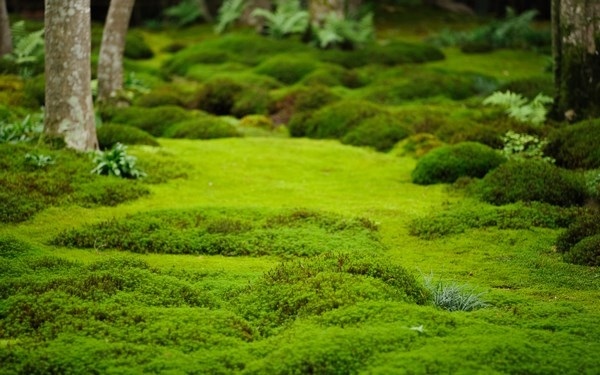 Moss can help you cover all the unfilled areas of the garden and give the landscape a finished look. Combining different varieties and garden plants you can create amazing landscapes with rich shades and texture. 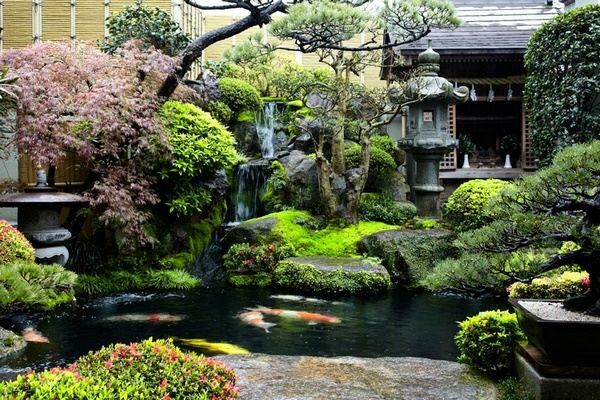 Further to that, it is an integral part of Japanese gardens so if you plan a garden in Oriental style, it is a must. First of all, the object should be placed in a favorable place for the development of moss. It should be a shady and moist area. 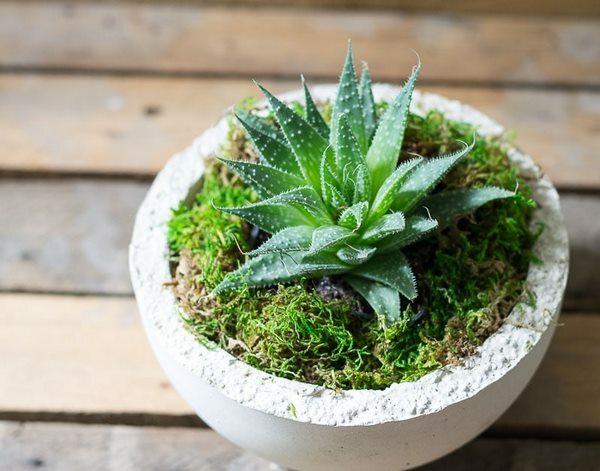 In addition, you need to remember that moss can only develop on a rough surface so if your stones or sculptures have smooth surface, it will be difficult, even impossible for it to grow. Mosses soften their contours and form bizarre patterns giving them a unique and mysterious look. Moss will look spectacular as a border plant at ponds or water reservoirs. You can also use it as a ground cover and hide some shortcomings of the plot. You can arrange it in a certain geometric figure, a checkerboard pattern or let it form a multi-colored carpet. 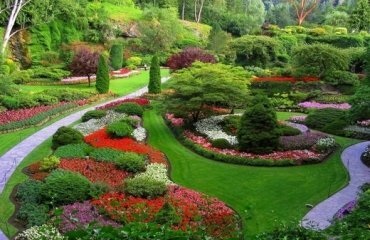 Another option is to use it for the design of garden paths. The plant is grown between stones or as a border plant. Moss roofs have a spectacular appearance. 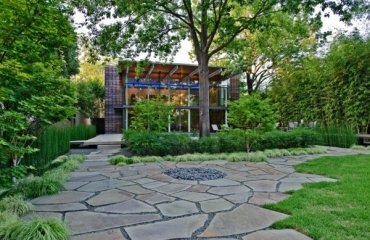 In addition to the aesthetic value, such a roof also has practical value, as it keeps the home cooler. Moss can also replace ornamental flowers. It can be planted in flowerpots and growing it at home is not at all difficult more over that caring for it does not require much effort. Let’s see how to grow moss indoors and the ways to use it as interior decoration. The decorative effect allows you to create various design solutions – from classical to modern. Even a beginner in gardening can grow this plant as no special effort and knowledge is needed. All that moss needs to thrive is moisture and a little light. Here are some useful tips for beginners. You need to monitor the moisture and light. These are essential for the lush green color of your moss. Make sure that your planters or terrarium gets at least two hours of sunlight a day. You can keep the planters near a window but not exposed to direct sunlight all day long. When you get up in the morning look at your terrarium – is there any condensation? If so, you do not need to water it. If the glass is dry, use a sprayer to water your plants. Use filtered water to avoid white stains. Using a sprayer is a better way to water moss as this plant has no roots and it takes nutrients from its leaves. Be careful not to over water as this may cause mold growth, your plants will get darker in color and may even die. Avoid placing the planters near heater as dry air will kill your moss. Moss plants typically do not require fertilization. Fertilizers can easily burn theim. 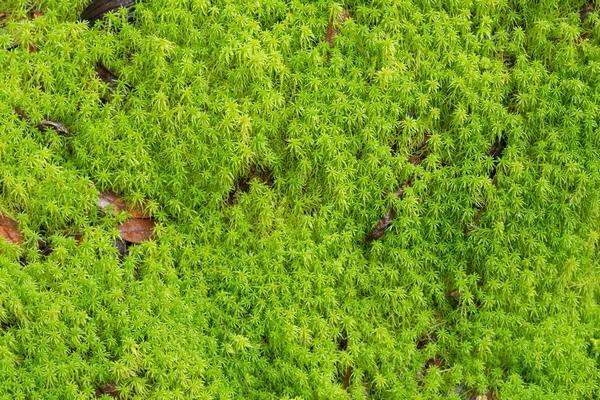 Mosses are the perfect choice for humid kitchens and bathrooms, as well as terrariums. 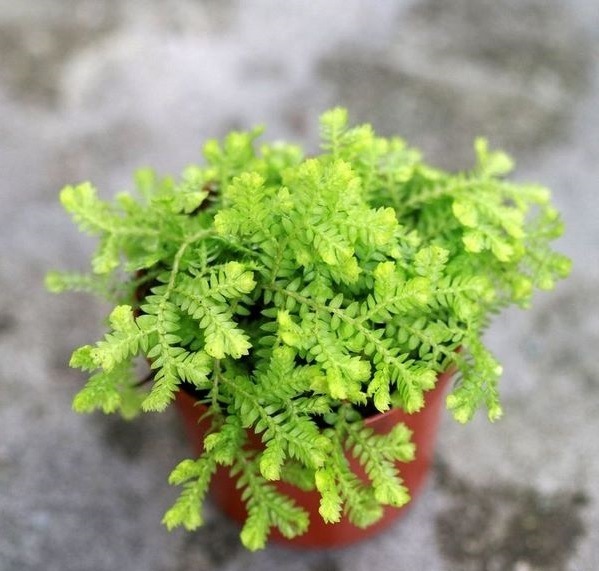 They can be combined with bonsai or used beneath larger moisture-loving houseplants. Where to get moss as a house plant? Well, this is a very good question! As we mentioned earlier, varieties would grow as in their natural environment. This means that you do not need varieties growing on tree trunks. But varieties that grow on rocks, driftwood, old walls, even on the shaded side of the buildings. You can pinch a little and take it home. It is good to know that the time of ripening of spores is approximately July and August. Which moss varieties can be grown indoors? 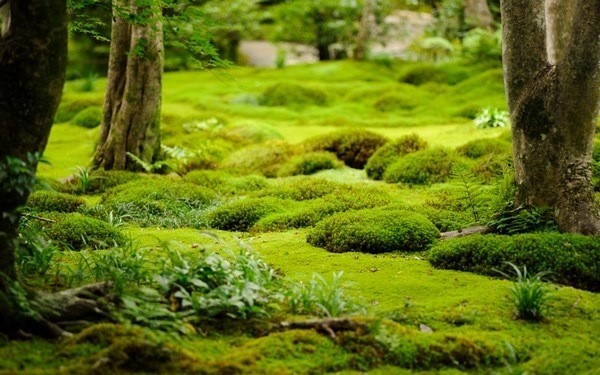 Mosses are exceptionally durable plants and, as strange as it may sound to you, pests and diseases just avoid them. The only way to kill them is by over moistening. When you plan to grow it indoors and arrange them in a terrarium, planter boxes, a green wall, etc. you can use one or more species depending on the particular design idea. Almost any variety that grows outdoors can be grown indoors as well. Spike varieties are a good option and since they come in many species, you can combine them with other varieties. 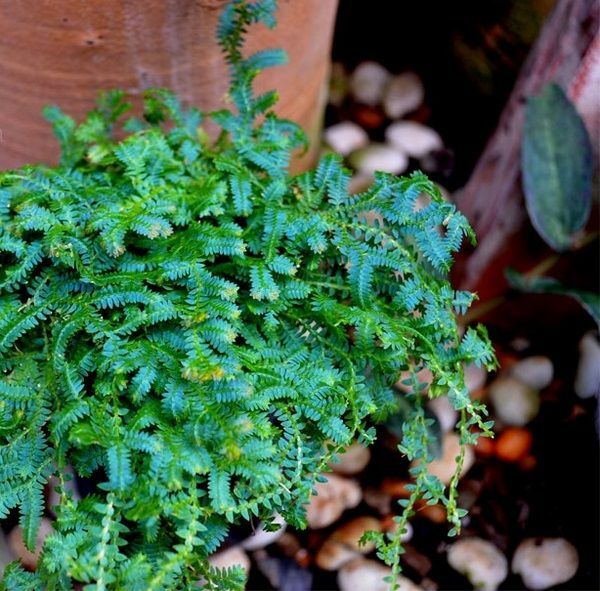 Asian Spikemoss (Selaginella plana) is a soft variety with lush texture and fern-like appearance. 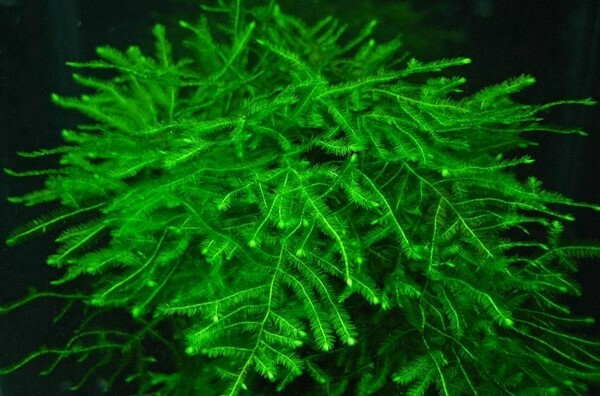 Golden Moss (Selaginella kraussiana Aurea) gets its name from the bright golden-yellow foliage. It is a slow growing plant which feels best in a humid environment. Rainbow Moss (Selaginella uncinata), also called peacock moss has a metallic blue-green foliage and shades of copper, orange, and bron ze. 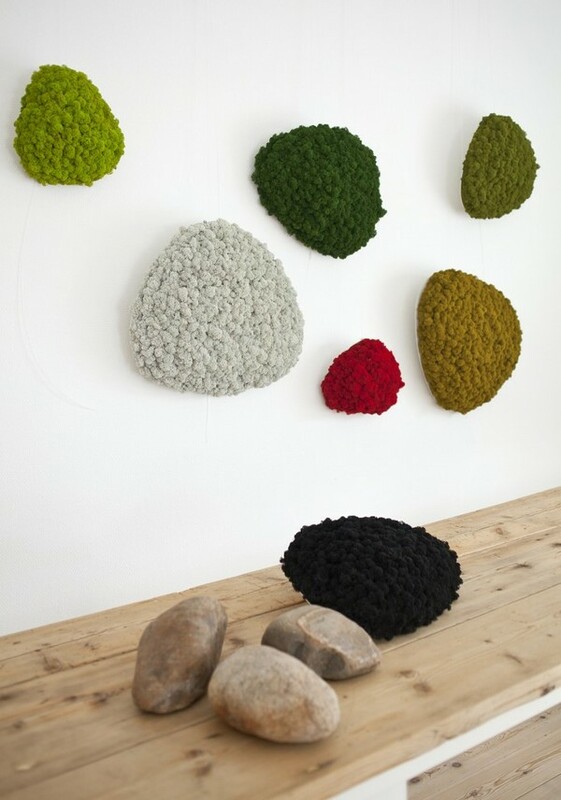 How to use moss as interior decoration? 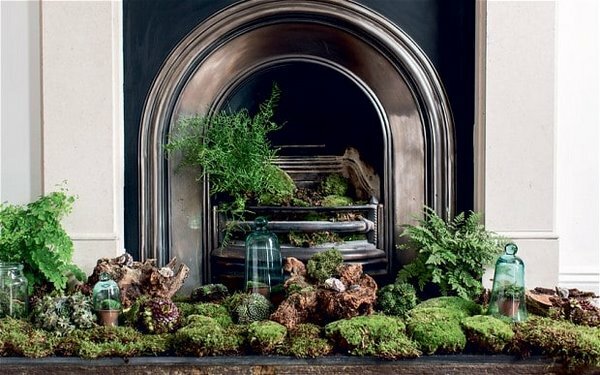 There are many creative ways to use moss and include it as an element of your interior decoration. You can add it under most house plants as an artistic touch. 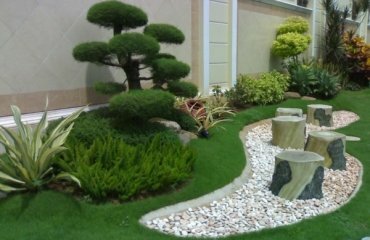 It looks great when combined with bonsai trees, for example. Moss kokedamas are real eye catchers. 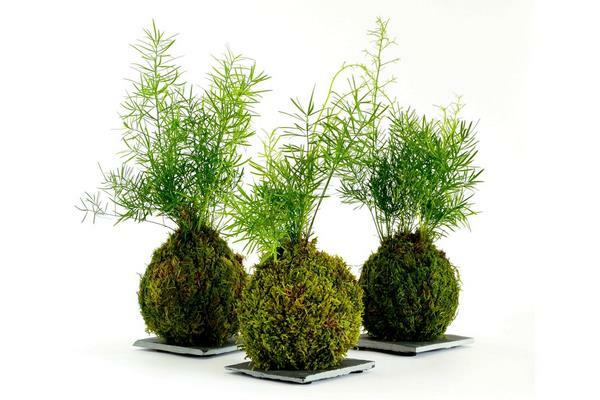 “Kokedama” is a Japanese word whcih means growing a plant in an intertwined moss ball instead of soil. 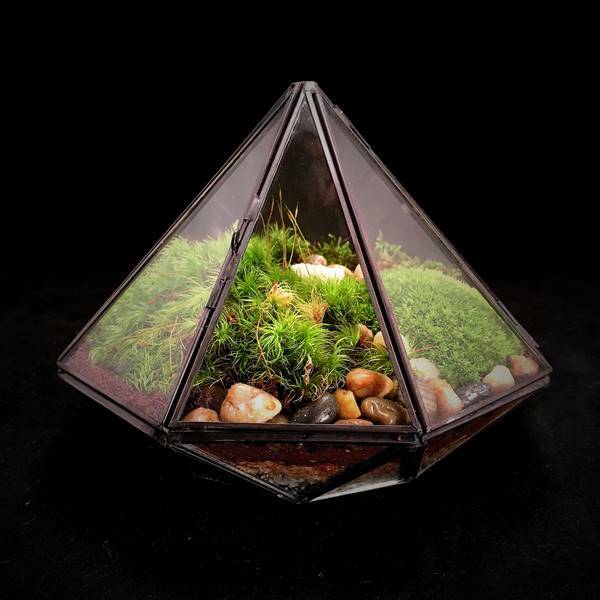 Moss terrariums are, probably, the most popular house decorations and an excellent DIY project. 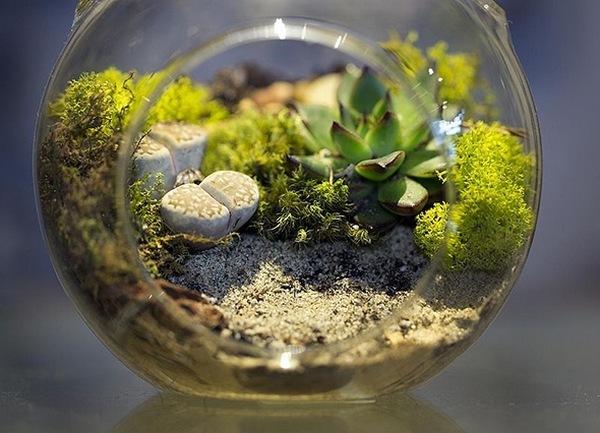 You can choose a glass terrarium of any size and shape and create a beautiful composition, adding stones, pebbles, air-plants or other miniature plant varieties. 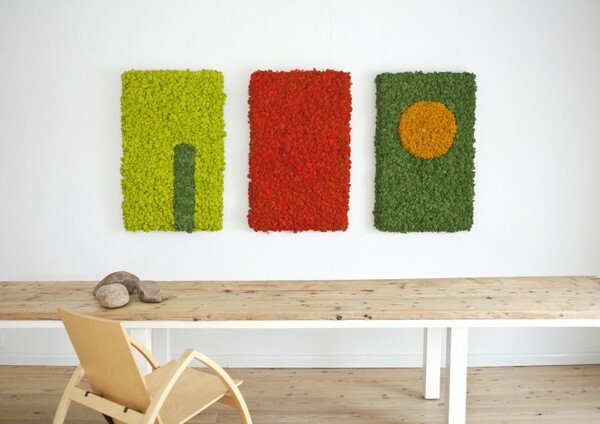 Moss wall – this may be a time consuming project but definitely a great addition to any living room or a bathroom. However, you need to remember that it can be aggressive and make sure that you limit the growth within the desired frame. Christmas and Easter decoration – DIY holiday decoration projects are a great way to include moss in your festive decor. Take advantage of the fresh green color and use mini planters as a table centerpiece, as window decoration, etc.